Gary Paruszkiewicz, CSME is a former Certified Chef member of the American Culinary Federation, and member of the prestigious "Chefs de Cuisine de Chicago". When he retired from the culinary arts, due to his disability, he returned to college, earning a BA in Psychology from Governors State University in Illinois. He is certified through the Division of Psychology and Counseling in Stress Management. He was a popular Adjunct Professor for GSU, teaching "A Lab in Personal Stress Management" (PSY 506). He has presented his programs nationally and regionally at workshops and conferences, and has consulted with corporate, academic, and recreation wellness programs. Working with medical specialists, Physical Therapists, Recreational Therapists, and Tai Chi and Qigong teachers, he developed the Therapeutic Tai Chi Programs. He published the book, "Therapeutic Tai Chi, My Journey with Multiple Sclerosis, My Path with Tai Chi" in 2006. The Therapeutic Tai Chi In-a-Chair program was formally introduced at an MS Awareness Day Workshop, hosted by the National Multiple Sclerosis Society, Illinois, through the Rush/Riverside Health Fitness Center in Bourbonnais, IL that same year. Gary and the program were featured in "Life in Action", the publication of the United Spinal Network. Gary was honored as a "Top Twenty Person with MS Who Inspires Us" by the MS Foundation. He and the program have been featured in numerous publications, including "Momentum" from the NMSS as well as local and national newspapers, television, radio, and blog/vlog productions, including the "Scleroseforegningen" video interview (MS Society of Denmark), and the teleconference "Qi Talks" of the National Qigong Assn. 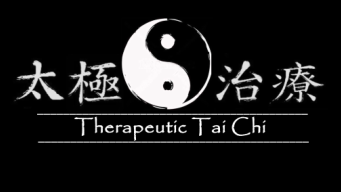 The Therapeutic Tai Chi In-a-Chair program is taught regularly in the U.S. and in Europe for people with standing/balance issues, at retirement complexes, rehabilitative medical centers, V A Hospitals, Assisted, and Independant Living Centers amd elsewhere. Gary has successfully presented his Therapeutic Tai Chi programs at annual conferences of the National Qigong Association. Gary has proudly served on the Board of Directors of the NQA (2014 - 2017).